In February, Brandon Pittser pointed out games can exist anywhere. Sometimes games are hard-coded into societal norms. Other times we try to gamify tasks we don’t want to do to make them more interesting, like folding laundry or washing the floor. But what happens when you gamify something you’re already passionate about? As an artist I spend much of my free time–you guessed it–arting. What I don’t accomplish at work, I take home with me to hone my digital skills and expand upon my capabilities. 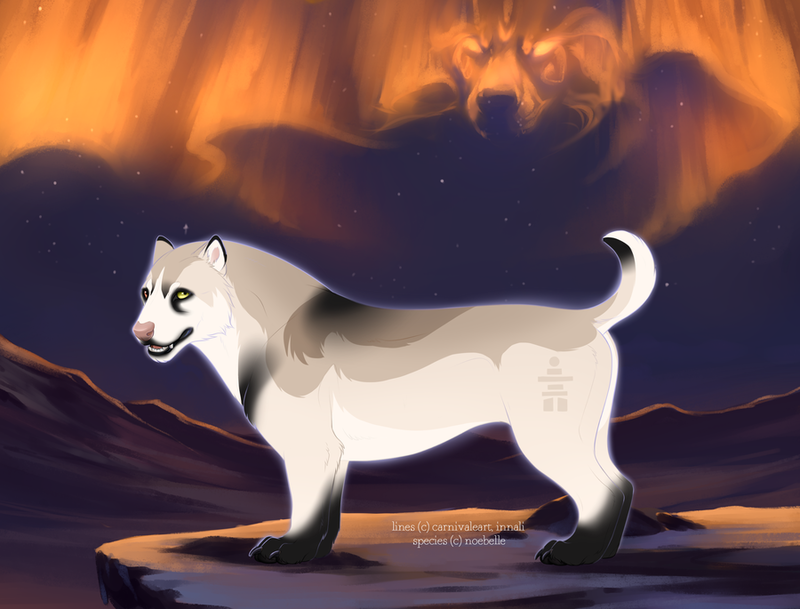 I post my personal artwork on deviantArt.com (dA) where my watchers and other members of the community provide feedback in a casual environment. I also use dA to find resources and inspiration. It also happens to be my latest gaming platform–yes, games really can exist anywhere. So, what inspires artists to create new things, even games? Whatever interests them, really. I’m partial to horse-sized rideable wolfbears, myself. They’re called Tokotas and they are the kingpins of the closed species ARPG scene on dA. An ‘Art Role-Playing Game’ (not to be confused with Action Role-Playing Game,) is a subset of communities on dA that revolve around a particular setting or theme in which users create and draw characters with a specific purpose in mind to advance that character in the overall game. There are Pokemon-themed ARPGs, in which players create a trainer and build up their Pokemon team without the limitations of the Nintendo-made games, multiple dog/wolf ARPGs with a variety of different settings and rules, the ever-popular Horse ARPGs, and many more. Membership to a particular group may be open or closed, with admission sometimes based on ‘auditions’ of any kind, but these groups are typically free to join. A closed species is a species of fantasy creatures typically credited to an individual creator (or small group of creators,) and must follow strict guidelines to meet a set of minimum requirements of said species. They are often listed as not freely available for anyone to make, though restrictions are rarely enforced by full copyrights: as per usual, these hobbyist artists rely on the goodwill of others to not monetize on their ideas. A closed species does not necessarily have to be part of an ARPG, and when they aren’t, most if not all profits benefit the creator(s). Some creatives capitalize on the uniqueness of the species to create an open-ended gamespace in which users may freely ‘play’ out their creatures in activities like customization, player v. player competitions, events, and in many games, genetics-driven breeding to produce even more creatures. These games often require a significant amount of planning and strict execution to keep participation fair. The existence of individual characters is typically regulated by one or more group leaders or accounts. In other words, if a Tokota has not been uploaded by the official Tokotas account (‘TotemSpirit’) with an identification number and official owner, then it is not eligible for gameplay. Closed Species ARPGs are not exclusive to dA, but it is there that they thrive within the expansive pre-existing community of artists and writers. Tokotas is unique in that it’s one of, if not the largest and most popular closed species ARPG on deviantArt with over 3,600 members and 15,000+ uploaded Tokotas. DeviantArt user Isabel O’Neill (dA username ‘Noebelle’), with the help of her co-founder Danielle MacIvor (‘Innali’), launched the Tokotas group in June 2014. O’Neill was only sixteen years old at the time. Inspired by MMOs like World of Warcraft and Sim platforms like Neopets.com, they set out to create an experience similar to pre-existing groups like SheduCats (the horse-sized rideable cats game, of course,) with their own twists. They never imagined Tokotas would take off in the way it has. I fell into Tokotas nearly by accident, having registered for their daily Advent Calendar raffle in December of 2015. Prizes ranged from in-game items to t-shirts and hot cocoa to rare, holiday-themed Tokotas. The highly anticipated, first-ever Tokota with dwarfism was uploaded on Dec 16 and somehow landed in the lap of a complete and utter newbie–me. I had technically been a member of the group for a few weeks by this point, taking my time to thoroughly read the game’s extensive rules, regulations, and guidelines. I was aware of the uniqueness of this particular Tokota, and I could read in the comments on her official import sheet how excited other players were over its mere existence. They could only hope that she would become an active character; after all, brand-new players have unpredictable levels of activity, so they had no idea what to expect from me. But this unique Tokota (which I fondly named ‘Almost’) was my first, and I was eager to not disappoint. With unwavering help from the community, I was able to swiftly update Almost to the highest hierarchical status of Alpha. She continues to be recognized by name and characterization as a favorite among several users, appearing in cameo roles in other people’s works to my complete surprise. The experience is amazingly humbling. The first dwarf Tokota or “Toki,” Almost F9229. Since joining the group, Tokotas has been a unique exercise in artistic practices for me. Becoming an active player in the game has taught me how to better manage my time, and has provided inspiring subject matter to improve my artwork. Because there are always extra events occurring in addition to day-to-day participation, players can become easily overwhelmed by all of their choices. For example, if you wanted to participate in the quarterly Faction Brawl (sporting competition,) you’d better hammer out your entries immediately because a new batch of Wild Tokotas were just released for taming–limited to one attempt per day; oh and don’t forget about the art trade deals you made with two other users in exchange for an exclusive breeding slot to their ultra-rare Tokotas. Personal workload can quickly spiral out of hand. Participation in every single event is tempting but isn’t always realistic. Over the last several months I’ve had to pick and choose my battles, so to speak, and learn how to best manage my time to serve both my needs and the needs of others. Pacing is key to maintaining a steady workflow, but sometimes the only way to get through everything is with quick, sloppy entries, right? Maybe quick, yes, but they don’t have to be sloppy. Speed-painting or speed-drawing is a common practice among artists in both digital and traditional media. Condensing an object or even an entire scene in a fraction of the time it would take to fully render it takes practice. Only essential colors and values are allowed here. My backgrounds had always been lackluster, especially landscapes. Because most events in the Tokotas ARPG require simple to semi-complex backgrounds, I have been able to use this requirement as an excuse to really push myself and try new methods. A huge boon in my speed-paintings have been using custom Photoshop brushes like Grzegorz Rutkowski’s Photoshop brush pack. (You can see how different brushes are used in this tutorial by dA user Vesner.) While not required to execute a successful painting, they tend to make the process a little smoother and can give the painting a certain life that individual freehand strokes can’t muster. My brush library has doubled in size in the last few months, and every few weeks I’ll try my hand at making new brushes to find exactly the right texture I’m aiming for. In addition to accelerating my artistic pace, I have generally taken advantage of Tokotas as a subject matter to improve other aspects of my drawings, particularly value, color, and lighting. DeviantArt initially displays all uploaded images as a small thumbnail. From a mere glance at that shrunken version, a user will decide if the full-sized work is worth looking at or not. The image should be readable from this size with an interesting subject matter to draw the user in. A clearly drawn or painted image will have well-balanced values (lights and darks) and colors, combining to create illusions of light and shadow. I keep these elements in mind especially while drawing images of greater importance to the game at large, such as Rites or Brawl entries, in which perceived effort is judged. 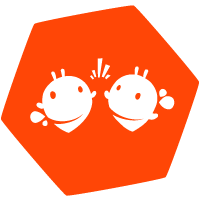 In addition to being a creative outlet, Tokotas is also a platform where players learn how to manage social interactions, dealings, and workloads responsibly. It starts with the admin team–44 volunteers in all–who set the stage and lead by example with patience and understanding, but a firm respect for the rules. Other users follow in their footsteps, offering advice and polite corrections freely and kindly. When asked if she thought the game was in any way educational, O’Neill pointed out that Tokotas does have some value in teaching personal responsibility. A huge portion of the community’s art production is commission work by other users, for other users, in exchange for USD, dA’s Point currency, or in-game currencies like breeding slots, Toko Tokens, items, or Hierarchy Points. Users learn the importance of recording and tracking deals and their own personal assets, and how to deal in a respectful, professional manner with other players of all skill levels.